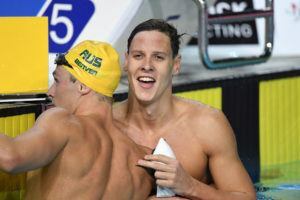 The dominating performances by Australia at the 2018 Commonwealth Games may lend insight into how effective the nation’s new Trials timing schedule is, but the positive results could also be attributed to a home Games. Scott’s 6 medals at the 2018 Commonwealth Games are the most ever won by a Scottish swimmer in a single games. Scottish swimmer Duncan Scott was given the honor of serving as his country’s flag-bearer for the closing ceremonies of the 2018 Commonwealth Games. 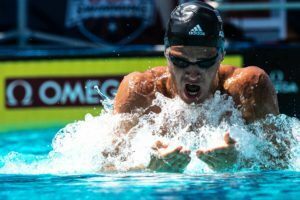 He joins 5 swimmers who were given the same honor as the closing ceremonies. Opening ceremony duties are usually awarded based on prior accomplishments, while the job at the closing ceremonies is usually awarded to an athlete who had a standout performance at the event itself – which rings true in the case of Duncan. With 6 medals, he earned more in a single games than any other Scottish swimmer in history. 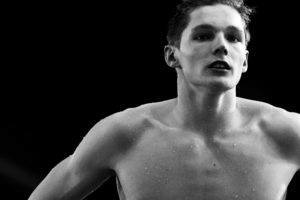 He also became the first Scot to ever win the 100 free at the Commonwealth Games. The honor came at an event that was almost-universally criticized because television coverage failed to show the athletes walk into the stadium at the event. Even the domestic Australian broadcaster Seven, who has been criticized on a number of levels for their coverage of the event, levied criticism at the decision of the organizing committee to arrange the event that way. The Chairman of the Commonwealth Games organizing committee Peter Beattie apologized for the decision, which had the athletes walk out during the “pre show.” A number of the speeches were also criticized for being too long, which resulted in many athletes and spectators leaving the ceremony early. His girlfriend and fellow Commonwealth gold medalist Emily Seebohm said that she too was confused. “The athletes didn’t really know what was happening. No one really communicated anything,” she said. “I didn’t see Kurt at all, which is really sad because you think as the flagbearer you get this huge honour to do such an important role and it seemed like no one really congratulated him on his role of being a para-athlete and being one of the best in the world.” She also noted that most swimmers skip the opening ceremony to prepare for their events, which makes the closing ceremonies, even with less attention generally, very important for them.